Identify workplace hazards that could hurt employees. Provide a detailed safety orientation to employees so they understand the possible hazards of their particular job and how to work safely. In addition to complying with the law, a written program is essential because authority, responsibility, and accountability should be clearly assigned to avoid confusion and uncertainty. Many businesses regard their APP as the cornerstone of their overall safety program. A written Accident Prevention Program serves as a framework for systematically detecting and correcting safety violations, as well as for remedying potential safety hazards. The APP also focuses the company’s work practice rules and employee training by showing where safety rule development, enforcement, and training is needed. We can help you create a written APP that will help your business become a safer environment for you and your employees, while meeting all requirements set by OSHA and DOSH. If you already have a written Accident Prevention Program, we can help you implement the program. Implementation includes a complete walk-through of your facilities, during which we identify equipment that requires safety training, potentially hazardous situations, and improvement opportunities to create a safer work environment. 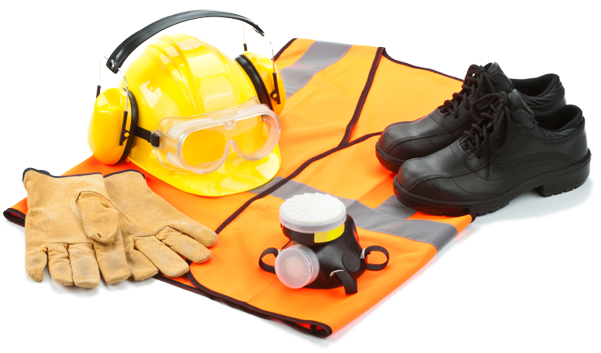 This process includes a hazard assessment to determine Personal Protective Equipment standards, evaluation of first aid kits and emergency equipment, and verifying maintenance of required Safety Data Sheets. We can also assist in determining protocol for dealing with employees who are not working safely. This can include creating new policies and procedures, identifying potential disciplinary actions, and requiring additional safety training. We can help you create a safety culture compliant with both state and federal law. The walk-through process is a comprehensive safety assessment that will help to ensure that your company is prepared for an OSHA or DOSH inspection. The walk-through consultation is a non-disruptive process which allows your employees to perform their regular jobs, while we conduct our evaluation. We will tour your entire facility and identify deficiencies that require correction or improvements that can be made to create a safer work environment. At the end of the walk-through, we will provide a typed report with pictures detailing the deficiencies and the required corrective actions. Our Safety On Site (SOS) services help to keep your facility in compliance with state and federal regulations. SOS services include our comprehensive safety walk-through consultation, attendance of either a safety committee or safety meeting at the time of walk-through, and a review of your company safety program. We also examine the implementation of your safety policies and procedures for compliance. SOS visits can be scheduled monthly, bi-monthly, quarterly, or annually – as appropriate for your business. There are no cancellation or rescheduling fees. We can assist you in appealing citations for safety violations, which can lessen or avoid the associated fines and/or penalties. We will review the citation and supporting evidence to determine the best course of action to correct the violations and to appeal the citation. Our team of safety experts will then develop an appeal response to be submitted to OSHA or DOSH. We may also attend the appeal hearing at the employer’s request for an additional fee.